If you are in need of professional stump grinding services in Cape Coral, Fort Myers, or the North Fort Myers area give the pros at McFarlane's Lawn & Landscaping a call at 239-220-8709 today and request a free quote! Don't let ugly stumps make your yard look unattractive. McFarlane's Lawn & Landscaping has been providing the best stump grinding services in Cape Coral and the Fort Myers area since 2010. We are a locally owned and operated business and you can expect us to provide excellent customer service on every job. If you are like most people in the Lee County area, you probably don't want a stump sticking out of the ground after having a tree removed or falling down on your property. It can be an eyesore on your landscape, a trip hazard, and something else to mow and line trim around. There are several ways to remove a stump but the most common and economical way to do it is to have the stump grinded down by a professional stump grinding company like McFarlane's Lawn & Landscaping. A stump left on your property will take years to decay, During that time it will become infected with fungus, which can spread to nearby trees and bushes. They also commonly become a place for pests and rodents to live and are a hazard for kids and pets playing in the lawn. It is always best to remove a stump sooner rather than later. 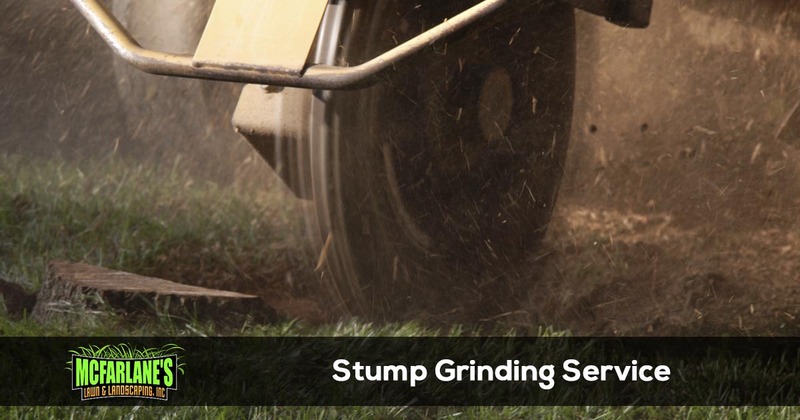 We have years of experience in the stump grinding business and have the equipment, training, licenses, and insurance to get the job done properly and safely. Pricing is determined by the size of the stump and it's location on the property. Other factors that determine the cost of having stumps removed are the number of stumps that need done and how you would like the chips to be handled once the tree stump is ground down. The wood chips can either be hauled off by our crews or they can be left on the property for the homeowner to use in another way. Many of our stump grinding clients choose to talk to their neighbors about stumps in their lawns to get better pricing. When we grind a stump we typically try to grind it down 3 to 4 inches below the grass line so new sod can grow on top of the stump buried in the ground. For professional stump grinding and removal services call McFarlane's Lawn & Landscaping today at 239-200-8709. 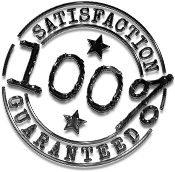 We offer free no-hassle quotes and have the experience, licenses, and insurance to perform the job properly and safely.